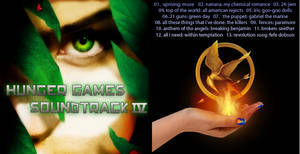 This is only one of TWO, possibly THREE Hunger Games Soundtracks that will be made by yours truly. Why? I'm glad you asked. 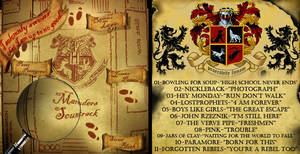 There were so many songs that I couldn't fit them all into one soundtrack. So more will be made! Hurrah! So, if you have any suggestions for songs I should include, please, by all means, let me know! 01: Paramore - "Let the Flames Begin"
02: Linkin Park - "Shadow of the day"
03: The Academy Is... - "We've Got a Big Mess on our Hands"
04: Brand New - "The Archers' Bows Have Broken"
05: Spring Awakening - "Those You've Known"
06: The Rasmus - "In the Shadows"
07: 3 Days Grace - "Time of Dying"
08: Superchick - "One More"
10: Breaking Benjamin - "Firefly"
EDIT: Click "download" to download the songs and cover in .zip file format. 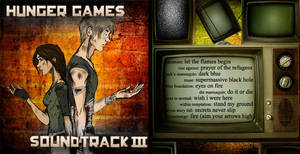 Check out the other soundtracks! This is not to be posted anywhere without explicit permission from me under any name but my own. I would greatly appreciate favorites, comments, etc. Enjoy, everyone! "The Hunger Games" and all related material belongs to Suzanne Collins. So there. 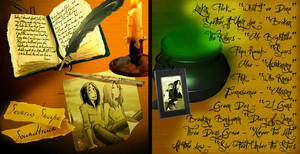 I know what songs are in the film - I did this before the movie came out as a sort of accompaniment to the books. But thank you! 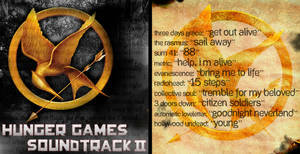 Set the World on Fire by The Black Veiled Brides also reminds me of The Hunger Games. Out of all of these, I have only heard "Time of Dying" and "Shadow of the Day." Although, I find that "Boulevard of Broken Dreams" by Green Day also fits at some points. This is just a jpg file, not a zip file like your other soundtracks are. "I've gone for too long, living like I'm not alive. So I'm gonna start overnight." It describes Katniss so well and her fighting for all the districts! 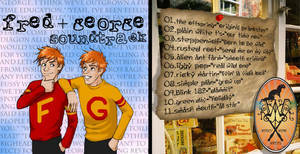 I love most of those songs!I have no idea what 3,4,5,or 6 is though.. 3 days grace is awesome! and so is linkin park. What download button? When i click download image, i just get the image (logical) Can you help me? YES! YES, YES, YES, YES, YES, YES, YES, Y-E-S!!!! .........I love Paramore....and HG. ahh yes brand new .. love it!!! cool list though, I like a lot of the band choices. Please submit a character to my story. I have 111 spots to fill. 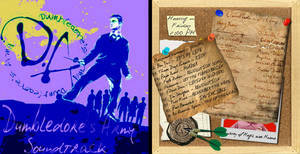 It is a Hunger Games, Harry Potter, and Percy Jackson crossover. I'll check it out. Where can I find it? You are 100% right about Time of Dying! I will not die, I'll wait here for you, in my time of dying"
to survive. It fits perfectly! Oh, and bravo on your fine choice of music! Iridescent by Linkin Park is another good one. I love Taylor swift, Paramore and was exactly going to say indiscent... You're freaking me out? You've watch the shortfilm of Katniss and Rue, right? yeah! ahaha thats so crazy! maybe we were seperated at birth or something!!! crazyyyyyyyy! Plus! I like reading, singing and writing! Just like you! Distance by Christina Perri. It's a perfect example of Peeta's feelings for Katniss. have you ever listened to Stand In The Rain by superchick? it fits Katniss so perfectly you would think she wrote it for the books.